SAN FRANCISCO and SANTA MONICA, Calif., February 7, 2013 – Cornerstone OnDemand (NASDAQ: CSOD), a leading cloud solutions provider, and Appirio, a global services provider and one of the largest human capital management (HCM) technology consultancies, today announced they have formed a strategic global relationship. 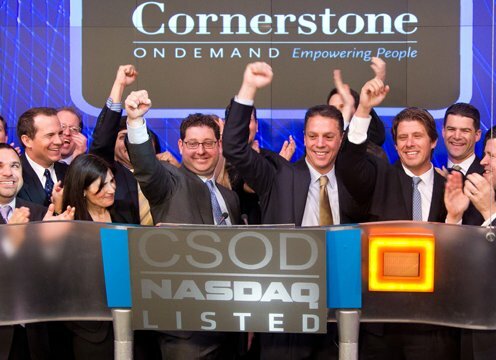 Appirio will become a preferred service provider for Cornerstone’s cloud-based talent management solutions. The teaming of the two companies also allows Appirio to broaden its existing talent management solution. As a preferred service provider, Appirio will work with Cornerstone’s clients and prospects to design and deliver a comprehensive and highly impactful talent and learning management solution. These capabilities will become part of Appirio’s broader HCM portfolio, which help organizations move people-based processes such as recruiting, onboarding, core HR, performance management, learning management and employee engagement from tactical to transformational. Cornerstone can now tap into Appirio’s team of global experts, along with the company’s integrated Cloud Enablement Suite and its fast-growing CloudSpokes developer community, to extend Cornerstone’s solutions and services. Appirio will provide full service offerings including strategy consulting, governance and process design, project management, deployment and integration, and content creation.